‘Good’ news: UF leader listed among most influential education deans in U.S.
Four years into his job at the College of Education, Dean Glenn Good has been ranked No. 14 on a list of The 30 Most Influential Deans of Education in the United States by Mometrix Test Preparation, a Texas-based company that produces test preparation products worldwide. The Mometrix rankings are based on a number of factors, including state and national awards and honors, education program rankings, individual degree program rankings and the level of pay received by each institution’s teacher alumni. Good was recognized for his spotlight on research, where he has focused on gender issues in education, counseling interventions and psychosocial well-being. He is a fellow of four divisions of the American Psychological Association, with one of those divisions twice selecting him as Researcher of the Year. 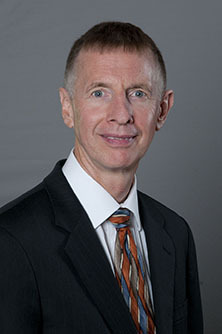 Good also was named mentor and advisor of the year during his tenure at the University of Missouri, where he also received the university’s highest teaching honor. Since his arrival at UF in 2011, the COE has made unprecedented leaps in the U.S. News and World Report’s national rankings of America’s Best Graduate Education Schools. The college is Florida’s top-ranked education school and ranks first among Southeast region public institutions. COE faculty researchers have generated more external grant funding than ever before, and Good has worked with faculty to gain substantial “UF Preeminence” funding allotted by the Florida Legislature for three priority research initiatives involving the College of Education. The college last year also received a $5 million donation — the largest in its 109-year history — to name and endow the Anita Zucker Center for Excellence in Early Childhood Studies. During Good’s tenure also has led AC Online to name UF as the No. 1 school in the U.S. for having the best online teaching degree, and StartClass to name the COE as having the sixth best early childhood education teaching degree. More recently, Good was appointed to the blue-ribbon International Advisory Panel for the Emirates College for Advanced Education in Abu Dhabi. He also serves in elected leadership positions with three national organizations: Learning and Education Academic Research Network (LEARN); the institutional representative group of the American Educational Research Association; and the education college deans group of the elite American Association of Universities. Liaison: Larry Lansford, director, College of Education Office of News and Communications; llansford@coe.ufl.edu; phone 352-273-4137.